How long have you lived in Phoenix? What are the greatest opportunities and challenges facing the community? How would you address those challenges? Phoenix has seen a record number of officer-involved shootings this year. How would you address that as mayor? Is Phoenix investing enough into hiring public safety personnel? If not, how would you address that? Where would the money come from? What is your vision for the future of public transit in this city, including light rail and bus? What role should Phoenix play in plans for current and future sports stadiums? Should any taxpayer money be used to help professional teams? How would you improve Phoenix’s balance of housing options, particularly assuring enough workforce housing? Work history Former Phoenix City Councilwoman. Before I ran for office, I worked to bring high quality jobs to the Phoenix area and to protect our water supply. I’m the best person for the job of Mayor of Phoenix because I have a vision to make Phoenix a vibrant 21st Century city by investing in our systems and our people. 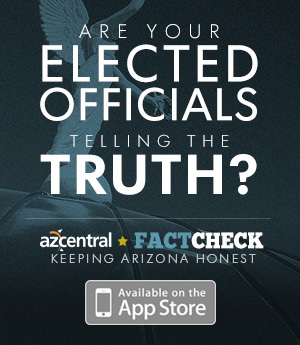 I recently earned the Arizona Republic’s endorsement because of my ability to articulate and advance this vision. I know that for Phoenix to work, we need everyone at the table. I was elected to the Phoenix City Council in 2013 and have several years of full-time experience as a public servant of the residents of Phoenix. I did the hard work to push beyond slogans to understand complex issues: issues like modernizing our transportation system, fostering economic development, reforming the justice system, and safeguarding our water resources. Once I had a firm command of the issues, I was able to find common ground and bring people together to achieve meaningful results that improve lives and expand opportunity. As your Mayor, I will continue to build a better Phoenix for everyone. Former Phoenix City Councilwoman. Before I ran for office, I worked to bring high quality jobs to the Phoenix area and to protect our water supply. Regardless of who wins, the next Mayor of Phoenix must reverse this statistic. It’s heartbreaking to hear from families who have lost loved ones, just as it is to hear from families and officers who fear for their safety. From officers on the beat to neighborhood advocates, everyone wants fewer shootings in our community. As mayor, I will prioritize funding for training, technology, transparency and innovation to support the police department. I support body cameras and an expansion of Crisis Intervention Teams. Listening to law enforcement leaders, I learned public safety is about more than money in budgets—it also means investing in our communities. I will advocate greater funding for mental health and substance abuse services. By providing needed resources to our Police and Fire Departments, investing in our communities, and approaching this situation from a place of listening rather than telling, I believe we can reduce these tragic events. It is my priority as Mayor. When I campaigned for City Council, the city was not hiring police and firefighters; that changed when I got into office. We can better support our officers by hiring technicians, cybersecurity experts, booking administrators, dispatchers, and civilian police assistants. For example, a police assistant can take reports or direct traffic, allowing officers to focus on their core duties. I began my campaign calling for better public safety and improved response times in every corner of the city. Some want to spend millions on professional sports facilities; I think public safety should be our highest priority. Investing in our transportation options makes sense for Phoenix; we are growing quickly. I led the campaign to pass Proposition 104 --- the city’s $31.5 billion transportation plan through 2050 to expand bus, rail and street improvements. Light rail is an important component of the plan; it’s the best way to move large numbers of people in an urban environment. As Phoenix Mayor, I will work to make sure this plan is on track, and the voters are informed of the progress. Professional sports are among the most profitable businesses. Teams, not taxpayers, should pay for professional sports facilities. My approach will be to meet with owners and stakeholders to determine the most fiscally responsible solution to support private sector investment. Everyone deserves a place to call home. I have worked to cut red tape and improve the time it takes to get a building permit in Phoenix reducing cost and increasing supply. As chair of the city’s Finance Subcommittee, I worked to sell city-owned land or to make it available for affordable housing. This has led to construction of many new housing units in our city. I have also worked to bring new money into our community such as working with the federal government to obtain an $30 million grant that we have leveraged into millions more for affordable housing near downtown. I will continue to pursue these commonsense partnerships as your next Phoenix Mayor. My name is Moses Sanchez and I’m a Republican running for Mayor of Phoenix because I believe we can do better than the status quo at City Hall. My diverse background as an immigrant, a 22-year Navy veteran, an educator and a small business owner, has given me unique leadership experiences that have prepared me to lead the 5th largest City in the country. From immediately hiring more police officers to addressing our homelessness crisis through social impact partnerships, I am proud of the solutions we have put together for Phoenix, which you can read at MosesSanchez.com. It has been more than 35 years since we elected a Mayor from outside of City Hall; it’s time for a Republican outsider who has led on the battlefield, in the classroom and in the boardroom to lead as Mayor and get our City focused on the needs of Phoenix families. I am asking for your vote for Mayor of Phoenix because I believe you deserve better than the status quo. Phoenix is a city full of opportunities, as we continue to see our city’s unique and diverse population grow. Unfortunately, our city’s elected officials have failed us when it comes to focusing on the basics and providing core services. Crime is on the rise in Phoenix and families don’t feel like their neighborhoods are safe. We have less Phoenix police officers on the streets today than we did in 2008, which is completely unacceptable. Without enough police officers to protect us, any Phoenician, from the most powerful to those most in need, can be the victim of a crime. We must do better. We need leadership that gets our city focused on being brilliant at the basics. The status quo politicians have been focused on using City Council to set up a run for higher office instead of addressing the issues facing Phoenix families. My diverse background in leadership experiences on the battlefield, in the classroom & the boardroom has prepared me to bring people together and lead our city. There are a number of things we can do, but the first must be the prioritization of hiring more Phoenix police officers. Our police department has been understaffed and undersupported by City Hall and that must stop. Our City has a $1.3 billion general fund budget; the dollars are there, it just has to be a priority. Secondly, we need to do a better job of emphasizing community-based policing where community leaders and officers get to know each other and work together. When an officer gets out of their vehicle, everyone in the neighborhood should know who that officer is and trust them. This increased level of trust makes it much easier for everyone to keep neighborhoods safe. I would also support increased training programs that educate police officers on their communities and prepare them to work together. Third, let’s expand successful programs like the Arizona Angel Initiative that get people the help they need for opioid addiction and make our communities safer. No, we are not. Our police force has been understaffed and undersupported by City Hall, which has failed to give them the tools they need to keep our neighborhoods safe. This isn’t a revenue problem; this is a priority and leadership problem. When our city found an extra $2.9 million in revenue at the end of the past fiscal year, our leaders chose to spend 20% of it on trees. If we have extra revenue, it should be dedicated to hiring more officers and paying down our pension debt. Additionally, we know there are wasted dollars at City hall that should instead be invested in hiring and recruiting police officers. Our City leaders approved a multi-million dollar marketing campaign for a recycling program that yielded zero results and was cancelled after $3 million was spent. Those dollars could have been used to hire officers, but our leaders didn’t make it a priority. We can do better when it comes to investing in our public safety and we will do better. Maintaining our city’s infrastructure, which includes roads, sidewalks and water pipes, is one of the most important roles of municipal government. But for anyone that drives on our city’s crumbling streets or stands at a bus shop without any shade, we know that City Hall has failed us. Instead of taking care of the basics like upgrading our roads and providing more bus routes to the communities that use them like South Phoenix, our leaders have tried to force light rail expansion upon communities that do not want it. We can do better. My vision refocuses on upgrading our roads and increasing our bus routes, two things that we know people use every day in Phoenix. We need to take care of these factors before looking at light rail expansion. Nobody in 2008 expected Uber and Lyft to become transportation options we would use every day, so it’s important to not get committed to a mode of transportation that may become obsolete in a decade. Phoenix should be proud of the Suns and Diamondbacks and the impact they have in building a vibrant downtown corridor. They are community assets that bring Phoenicians together and play an important role in economic development as well. While we are proud to have professional teams call Phoenix home, our city should not be in the arena business. The Sheraton Hotel, where City Hall lost nearly $100 million in taxpayer dollars, is a perfect example of what happens when the city strays from its core duties and gets into areas it has no business in. Instead of simply being forced with two bad options of A) spend taxpayer dollars on an arena for professional sports teams or B) watch the teams move to a different city, we should get creative with how we approach this problem. I’ve suggested selling the arena to the Suns, which would get our City out of the arena business and allow the Suns to make upgrades as they see fit. Phoenix should focus on core services, not funding arenas. City Hall has been beholden to developers and special interests for too long, leading to an imbalance of housing options that forces Phoenicians out of the city. This is unacceptable and must be addressed by leaders. One of my ideas as Mayor would be to advocate for the use of Community Benefits Agreements (CBAs) between developers and community groups that require certain benchmarks to be hit in order for a project to be approved. These CBA’s have been used by other cities to ensure that projects provide an actual use to the community and improve neighborhoods. One of the requirements within in a CBA could be a specific number of units dedicated to workforce housing or affordable housing. I’ve toured affordable housing complexes built by non-profits and one of the themes I’ve heard from these leaders is the need for City Hall to get out of their way. As Mayor, I would reduce the barriers and regulations on these non-profits to make sure they can serve their community. Family Married to my wife Valerie for 9 years. We have 4 children; Ruth (7), Joel (6), Ava (3), Zane (4 months). Work history Worked as a senior systems developer/analyst on defense contracts in Washington, D.C., public defender for 5 years in Aurora, CO, and currently Vice President of Consolidated Auto Sales of Phoenix, AZ. As a small business owner and someone that has served the community as a public defender, I can balance both the city checkbook and needs of the people of Phoenix. The City Council is supposed to be nonpartisan, but lately it has been locked in a bitter shouting match between partisan politicians, that are more interested in party rhetoric and blaming the other side than actually getting things done. There isn’t a partisan way to fill a pothole or respond to a violent crime in progress. Since I don’t wear the jersey of either team, I can be an honest broker. As your Mayor, I will work with anyone ready to focus on real solutions to Phoenix problems. I am a third generation Phoenician, born and raised in Phoenix. In 2014, after finishing my law degree and working for 5 years as a public defender in Colorado, I returned home with my family to run our 76 year old family business. Licensed attorney and Vice President of 76 year old family business, Sarwark Consolidated Auto Sales. Phoenix oldest independent car dealership. The greatest opportunities for Phoenix are innovation and community development. Through innovation we are seeing advances in sustainability and green spaces, transportation alternatives, and connectivity. Phoenix is 518 square miles of diverse communities and neighborhoods. Neighbors are working together in these areas, that have been neglected by the City Council, to make their streets safe and vibrant. Phoenix faces a crippling $2.3 Billion interest payment on pension debt, a looming water crisis, deteriorating infrastructure, and $500 Million a year in debt payments. Instead of borrowing against our future for massive pet projects or giving out tax breaks to big developers, we need to refocus on core city services like libraries, public safety, parks, infrastructure, and clean and reliable water delivery. Philadelphia had one of the nation's highest officer-involved shooting records. Their city officials sought outside recommendations through a Obama administration DOJ program. After fully implementing that program, the officer-involved shooting rate was cut in half. We need an outside group to study and report the successes and failures of our police force, not a law enforcement backed white-washed report. The police worn body camera program has been in the "pilot" phase for many years now. Chief Williams says we should hold off on full body camera deployment while the technology advances. I believe that a less advanced camera today is better than no camera at all. These cameras not only provide officer accountability, but can also provide insight during training and evidence to support an officer's actions. Phoenix should also impanel an independent citizen oversight board that can review and recommend actions after an event occurs. In the 2018-19 budget, over $1 Billion is spent on Police and Fire, not including future pension obligations. Public safety makes up the lion's share of the city budget. We need to look at new ways of addressing these old problems. Simply trying to hire our way out of the issue will not work. There are several cities that have rejected the officer-to-civilian ratio method of determining personnel needs. Phoenix should add more volunteer and reserve officers and departments to the public safety roster. If we enable volunteer and reserve officers to respond to non-emergency calls and security patrols, our sworn officers can refocus on critical calls for service and violent crimes in progress. This will reduce response times and redevelop trust within the community. Light rail expansion is a horrible transportation policy, because it can’t adapt to the changing needs of the city. When you lay that track you are committing the city, for 30 years, to that one transportation method at the expense of every other form of transportation. Including new innovations. No one could have predicted Uber overtaking the cab industry. Valley Metro estimates that the completed light rail system will move 10,000 people a day. But that’s how many people are currently using the three bus lines that parallel the light rail line. And bus lines can be changed, expanded, rerouted, increased… light rail can’t. Out of a city of 1.6 million people we are sacrificing billions of dollars and increasing traffic for less than 1% of the city population. We need a transportation policy that includes ALL transportation methods. Bikes, walking, personal cars, private shuttles, city buses, current light rail, and future and evolving technologies. We can be an enthusiastic fans of our local sports teams and individuals should buy tickets to see the games. But we should not be using taxpayer funds to subsidize sports teams or stadiums. Not at any level. Your tax dollars are to be used for core city services like like libraries, public safety, parks, infrastructure, and clean and reliable water delivery. Not to boost the profits of developers or sports team owners. In the last 6 years the City Council gave $1.6 Billion in tax breaks to big developers, which diverted $200 Million from our public schools. The city traded millions in property taxes for a couple hundred dollars a month off of rent for a few apartments for a few years. When the deal is over the rents can go back up. That scheme doesn't create affordable housing. Every time they give out one of these deals, you pay the price. Either in higher taxes or cuts to city services. The way to increase affordable housing is to create a fair and level playing field for all developments. Not special perks, deals, and variances for those that are politically connected or writing big campaign checks. The need for housing is expanding in Phoenix and people want to build here, it's time we let them. Family Daniel is married to Wendy with four children and one puppy. Education Emergency Medical Technician Certification, Maricopa Community College Hazardous Material Response Certification, Maricopa Community College Technical Rescue Technician Certification, Maricopa Community College Pursuing B.A. Degree, Grand Canyon University, majoring in Public Administration. I am a spouse, parent, and lifelong Phoenician. Being a professional firefighter has instilled in me the importance and value of service and how to be a problem solver and I have brought that same type of commitment to City Hall. That’s why I have earned the support of three former Mayors - Paul Johnson, Skip Rimsza, and Phil Gordon. I believe candidates need to put forward specific policy proposals and plans of actions rather than just meaningless sound bites. As a result, I am the only candidate for Mayor that has comprehensive and detailed plans to create jobs, improve our education outcomes, and keep our families and neighborhoods safe. As a result, I have been endorsed by the Greater Phoenix Chamber of Commerce, Arizona Federation of Teachers, Professional Firefighters of Arizona, and the Arizona Police Association. In sum, I have the experience, know-how, and the proven ability to bring people together to get things done. I am a life-long Arizonan of 43 years. I am a life-long resident of Phoenix of 43 years. Phoenix is on the right track. But we can’t take our progress for granted. For example, when I joined the Council, we were dealing with a very weak economy. As Chair of the City Council’s economic development arm, I made job creation a focus in City Hall. Today, Phoenix is a national leader in job growth. My economic development plan, PhoeNEXT, will build on that foundation. Because the top priority of government at any level is to keep us safe, my public safety plan, ProtectPHX, outlines my commitment to the hiring of more first responders, expand community policing programs, and keep our schools safe. My detailed education plan - EducatePHX – outlines my commitment to improve our education outcomes and provide the talent we need for the Phoenix of the future. You will find each of these specific plans of action that addresses our challenges and maximizes our opportunities on my website: danielforphoenix.com. The rise in officer-involved shootings is a national phenomenon with numerous contributing factors including the opioid crisis, a rise in those with behavioral health challenges, a proliferation of firearms, and an increase in domestic violence. As a first responder myself, I take the violation of trust by public safety officials seriously as I know such action undermines that trust in all first responders. I support full investigations and appropriate disciplinary and legal actions against those who fail to uphold their oath. I also support research, special training, and partnerships, like having behavioral health specialists ready to assist officers, to minimize the use of firearms. The purchase and required use of body cams will protect both the general public and our police officers. The pilot program I led to provide police patrolling my City Council district with body cams has proven to be a wise investment. We have not invested enough but we are doing better. When I came to City Hall, the Council had imposed a multi-year public safety hiring freeze. I immediately embarked on an effort to lift the freeze. I collaborated with my Council colleagues to reprioritize the budget and pursued Federal grants. The result – the hiring freeze was lifted years ahead of schedule. Today, there are more police officers patrolling our neighborhoods than when I joined the Council. Lifting the hiring freeze was just a first step. I remained committed to the current city policy I helped to craft in the hiring of police officers in order to meet the growing needs of the nation’s fifth largest city. The costs of such efforts must be a priority in the budget process. Generating the funds needed for future hires is precisely why I will continue to make economic development and job creation a focus as we expand our tax base to not only meet public safety needs but fund other critical public programs. I am committed to the complete implementation of voter-approved Prop 104, which in addition to funding for bus transit and the expansion of light rail, also provides critical infrastructure needs like street maintenance, repair, and expansion. Streets are critical to our economic future and impact resident’s quality of life. That’s why I have been a strong supporter of maintenance and construction of roads. I support the extension of light rail to South Phoenix and elsewhere. That is why upon taking office I immediately embarked on an effort to fast-track the construction of the 19th Avenue/Northwest Extension of light rail, directly addressing local challenges, attending countless community outreach gatherings, and working closely with community leaders, business owners, and residents to mitigate the inevitable inconveniences that come from construction. The result – the extension was completed seven years ahead of schedule. That’s the type of leadership I’ll provide as Mayor. For too long taxpayers have foot the bill for sports venues. This practice must stop. Our downtown city-owned arena hosts the Phoenix Suns, concerts and other high-profile events critical to downtown economic vibrancy and our reputation as a world-class city. But we need to bring stakeholders together to develop a new model that takes the burden off our taxpayers. My leadership role in crafting a new agreement between the City and the Milwaukee Brewers is an example of that new model. In order to continue to occupy the city-owned facility as its Spring Training home, the Brewers agreed to make a $60 million dollars investment, or over 85 percent of the total cost to upgrade the facility. The city, in turn, secured a 20-year tenant while preserving jobs and the economic impact of a Major League Baseball Spring Training in the Maryvale neighborhood. Even the harshest of critics found this model to be in the interest of Phoenix the taxpayers yielding a positive return on investment. State law limits the ability of Arizona cities to designate affordable housing set-asides and other tools available in other states. In fact, as has been the case in far too many issues, the State Legislature has abandoned cities, sweeping funds from the Housing Trust Fund that has historically served as a resource for the development of affordable housing, and then dissolved the Fund completely and combined it with another state program with an entirely different mission. As Mayor, I will work with the development community to advance those proposed developments that recognize the value of a mix of housing to meet varied socio-economic makes for a more inclusive community. In particular, I will seek to promote and encourage transit-oriented workforce housing development along the entire length of the light rail line in order to maximize the already high 7-to-1 return on investment of light rail while improving connectivity between workers with their place of employment.